Young children will enjoy learning 100 basic German words with this colourful picture bingo / lotto game. Bilder-Bingo teaches simple, everyday words and allows easy memorisation through picture-word association. Topics covered include colours, shapes, items of clothing, food, weather, animals, household furniture & many more. 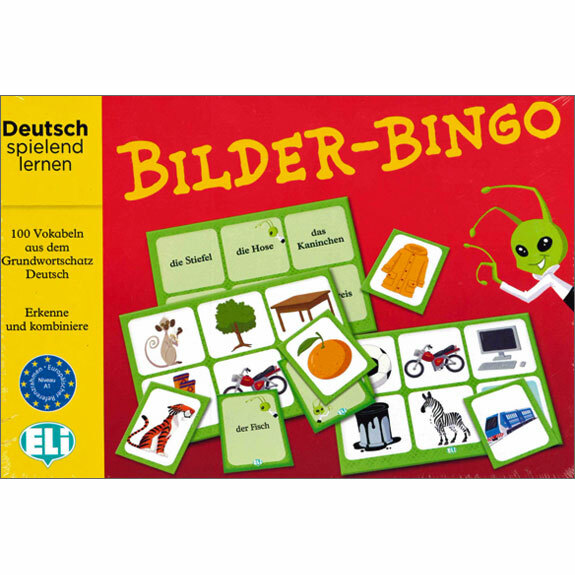 Bilder-Bingo is equally suitable for children learning German as a second language, or for young native German speakers learning to read.